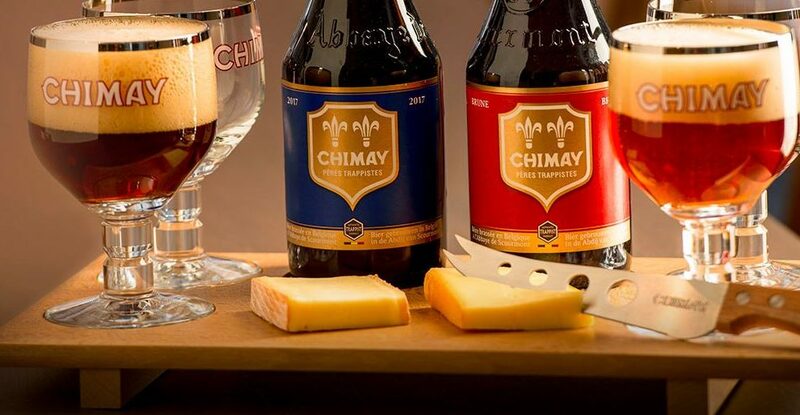 Forget wine and cheese, it doesn’t get any easier, or better, than serving Chimay beer with Chimay Cheese. 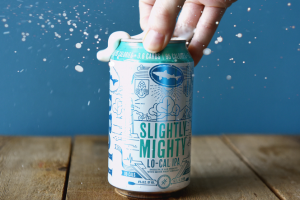 Finding the perfect food and beer pairing can be a daunting task. Sure, you know how to pick out a stellar beer, but crafting a memorable foodie experience isn’t always a cinch. 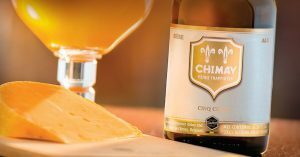 Enter Chimay, one of only six remaining Belgian monasteries still making Authentic Trappist beers. 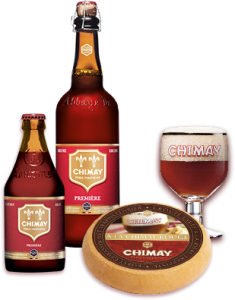 The monks of Chimay have also been making award-winning Trappist cheeses for nearly 150 years. Their soft, mild and buttery cheeses pair perfectly with Chimay’s iconic ales, creating an intense flavor combination you won’t soon forget. 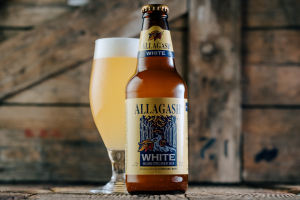 Take a generous mouthful of beer to mix both flavors in your mouth at once. 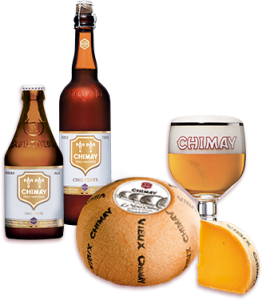 Chimay Cinq Cents makes a harmonious match with Vieux Chimay, a cheese that is aged in the dairy’s cellar for 6 to 18 months. 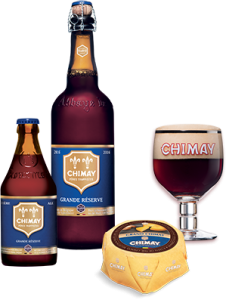 The Chimay Grande Réserve is a dark ale with a powerful aroma. It’s the perfect match for the Chimay classic cheese. 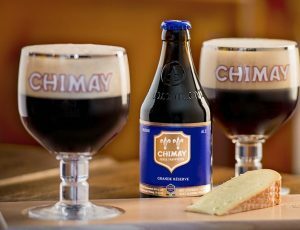 Chimay Première is used to wash one of Chimay’s cheeses, called “Chimay à la Première.” Together, they offer a perfect combination of flavors.